"The mission of the Honolulu Quarterback Club is to encourage and support excellence in the conduct of, and participation in, all levels of sporting events by Hawaiʻi Athletes. To recognize individuals and teams for outstanding achievement in athletics, academics and citizenship." 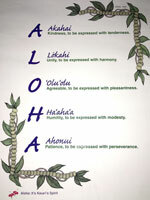 To recognize athletes and those who promote athletics in Hawaiʻi. To promote good sportsmanship and create better understanding of various sports. To promote the application of the highest ethical standards in all sports endeavors by the exchange of methods and ideas. This organization is organized exclusively for charitable and educational purposes within the meaning of Section 501(c)(3) of the Internal Revenue Code. "The Preeminent Sports Source in Hawaiʻi, Recognizing All Sports"
+ Dan Schemmel – Head Coach – Swimming and Diving – University of Hawaiʻi. Dan Schemmel – Head Coach – Swimming and Diving – University of Hawaiʻi. Coach Dan joined UH in 2016 as the 7th head coach of the UH program, since the men's and women's teams combined in 1987. For the 2018-2019 season, Coach Dan was named MPSF Coach of the Year for both men's and women's teams and it also marks the third year he has been named the MPSF Coach of the year and MPSF Women's Coach of the Year. This year has also been a great success for the Men's swimming and diving team, which also won the MPSF Championship. Dan came to UH from the University of Wisconsin where he was Assistant Coach and helped guide both the men's and women's teams to winning titles at the conference and national levels. Coach will cover the triumphant 2018-19 season on Monday. We meet every Monday (except holidays) at the Maple Garden Restaurant. We serve lunch (Chinese buffet style) and host various sports persons as guest speakers and they are always available for questions and discussions. Lunch starts at 11:30 am and the program begins at 12 noon. The restaurant is located at 909 Isenberg (map)(near the corner of King and Isenberg directly across from the Old Stadium Park). There is free parking next to the Restaurant or street parking is available. The entrance to the meeting room is located at the rear of the Maple Garden building through the parking lot. The luncheon cost is $17.00 per person for members and guests which includes tax and gratuities. Come to our meeting & celebrate these speakers! There is parking next to the Maple Garden Restaurant and plenty of street parking. 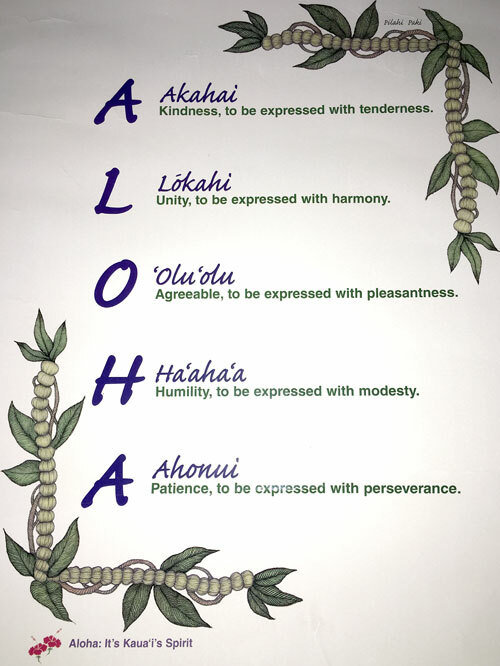 Allan Silva, the head basketball coach at St. Louis High School, spoke before the club and shared this definition of ALOHA with us. We thought it was interesting enough to share with you.